Cooling Gulf of Mexico waters means that the fish, especially flounder, are hungry and willing to eat almost any bait presented them. 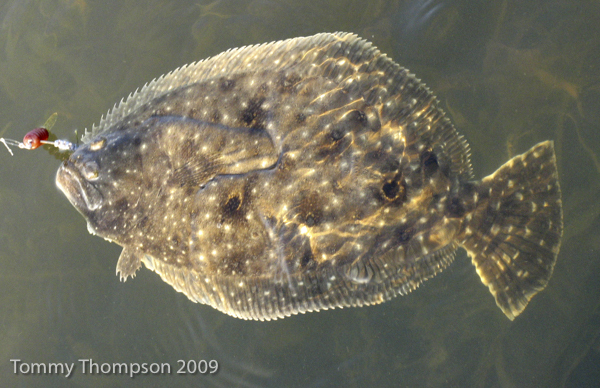 Flounder are voracious eaters, attacking small minnows (mostly killifish, or mud minnows), small mullet and shrimp. They lay on the bottom near rocks, almost invisible except for their distinctive shape, both eyes facing upwards, and are swift in their pursuit of artificial or live bait. Flounder prefer the edges of rocky bars or channels, where their prey is likely to pass overhead. If you feel that the strike you have is from a flounder (soft strike and a steady pull downward), give him some slack and let him swallow the lure. or…if you’re looking for meat, invest in some H&H Cheater Jigs. 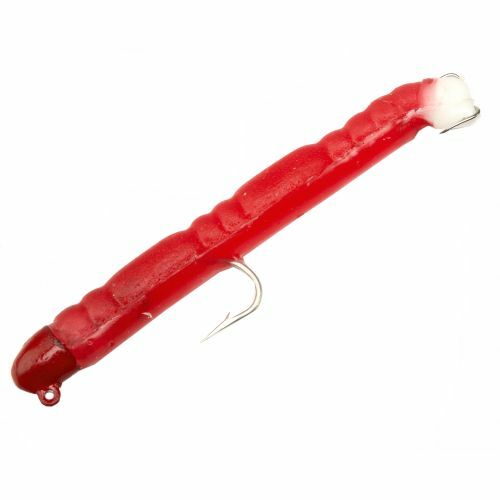 These lures have a #8 treble hook rigged as a “stinger” and are very useful when it comes to fishing for flounder. The H&H Cheater Jig is available a many Big Bend tackle shops. In either case, whether you’re using live or artificial bait, drag it slowly across the bottom, especially if the water’s muddy or stained. You’ve got to put it close to a flounder before he’ll eat.